Visiting Losser and looking to get a place to swim? Nice choice! Don't neglect to tell us how did it go. 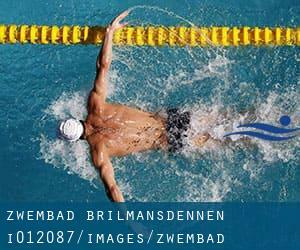 Introducing now Zwembad Brilmansdennen swimming pool, an incredible swimming pool sent by a swimmer like you few days ago. Have you visit this pool? Do you work here? Please, contact us if you have data that you consider is gonna be useful and keep in mind from now on you may now promote every single pool just by sharing this page with your buddies or adding comments within the Facebook boxes below. Come on and help this pool to be the first in Losser! Among all the activities offered by the center, when you are enthusiastic about swimming you will get pleasure from 25 meters x 15 meters, 6 lanes, Indoors. If you'll want to contact this Pool, email address and phone number are both number. Updated on 2019 Scholtenhagenweg 32 , Haaksbergen , NETHERLANDS (Postal Code: 7481 VP). This sports center gives 25 meters, 5 lanes, Indoors. Contact facts for this Swimming Pool such as phone number and e-mail address are number. Updated on 2019 J.J. van Deinselaan 2 , Enschede , NETHERLANDS (Postal Code: 7500 AM). Among all the activities offered by the center, if you are thinking about swimming you will enjoy 25 meters x 15 meters, Indoors. If you will need to contact this Pool, email address and phone number are both number. Updated on 2019 Lage Weide 3 , Hengelo , NETHERLANDS (Postal Code: 7556 NA). Among all the activities offered by the center, in case you are thinking about swimming you can get pleasure from 25 meters, 6 lanes, Indoors. Just in case you would like to contact this Pool before dropping by, we only know the phone number. Updated on 2019 De Broedersingel 1 , Kampen , NETHERLANDS (Postal Code: 8261 GH). Among all the activities offered by the center, if you are keen on swimming you can expect to take pleasure in Olympic size, Indoor/Outdoor. If you might want to contact this Swimming Pool, email address and phone number are both number. Updated on 2019 Molendijk 14 , Denekamp , NETHERLANDS (Postal Code: 7591 PT). This sports center delivers 25 meters, 5 lanes, Indoors. Contact details for this Pool which include phone number and email address are number. Updated on 2019 Dikkensweg 3 , Wierden , NETHERLANDS (Postal Code: 7641 CC). Among all of the activities provided by the center, should you be interested in swimming you may appreciate 25 meters, Indoors. If you need to contact this Swimming Pool, e-mail address and phone number are both number. Updated on 2019 Julianastraat 24a , Zwartsluis , NETHERLANDS (Postal Code: 8064 ZH). This sports center gives 25 meters, 4 lanes, Indoors. Contact information for this Pool such as phone number and e-mail address are number. Updated on 2019 Ada Kokstraat 20 , Oldenzaal , NETHERLANDS (Postal Code: 7572 EA). This sports center offers 25 meters, 5 lanes, Indoors. Contact data for this Swimming Pool for example phone number and e-mail address are number. Updated on 2019 Arend Baanstraat 105a , Rijssen , NETHERLANDS (Postal Code: 7461DT). This sports center delivers 25 meters x 12.5 meters, Indoors. For this Swimming Pool, only phone number is number here. Updated on 2019 Piet Heinweg 16 , Nijverdal , NETHERLANDS (Postal Code: 7441 GZ). This sports center delivers 25 meters, Indoors. Contact facts for this Swimming Pool similar to phone number and email address are number. Updated on 2019 Schipholtstraat 43 , Glanerbrug , NETHERLANDS. Swimmers like you reported 25 meters x 10 meters, Indoors. Phone number and e-mail address are number for this Swimming Pool. Updated on 2019 Sluiskade Noordzije 126 , Almelo , NETHERLANDS (Postal Code: 7603 XZ). Swimmers like you reported 25 meters, Indoors. Unfortunately we do not have the e-mail address of this Swimming Pool, but we can give you the phone number. Updated on 2019 Gruttostraat 44 , Goor , NETHERLANDS (Postal Code: 7471 ES). Swimmers like you reported 25 meters, 4 lanes, Indoors. Phone number and email address are number for this Swimming Pool. Updated on 2019 Gagelsweg 25 , Steenwijk , NETHERLANDS (Postal Code: 8331 CM). This sports center offers 25 meters x 15 meters, Indoors. Contact knowledge for this Swimming Pool such as phone number and email address are number. Updated on 2019 Zwolsestraat 68a , Raalte , NETHERLANDS (Postal Code: 8101 AE). This sports center provides 25 meters, Indoors. Contact information for this Pool including phone number and email address are number. The facts of this Swimming Pool has been verified lately by a member of their staff.